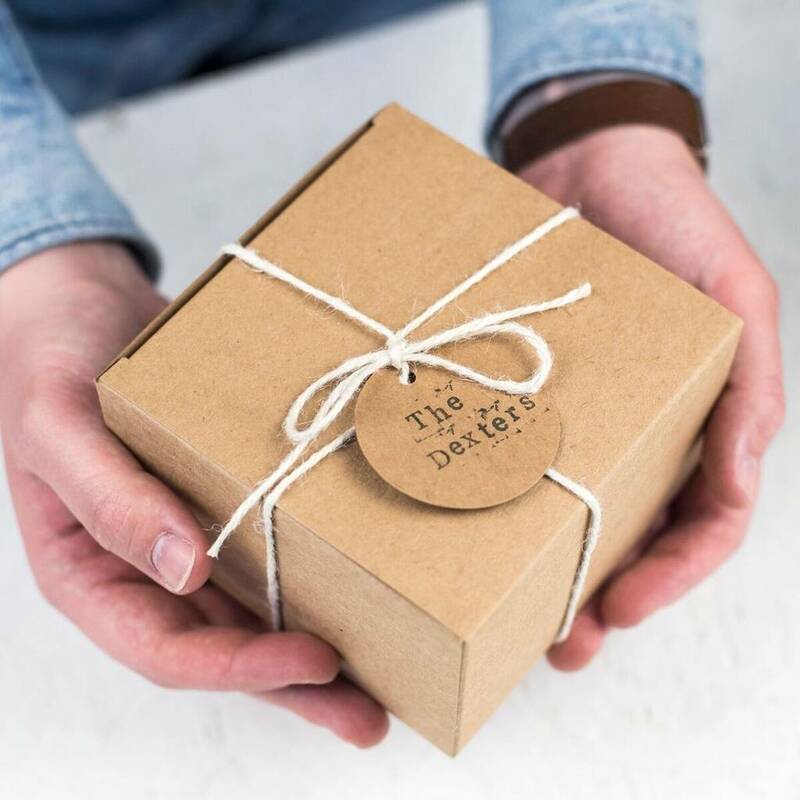 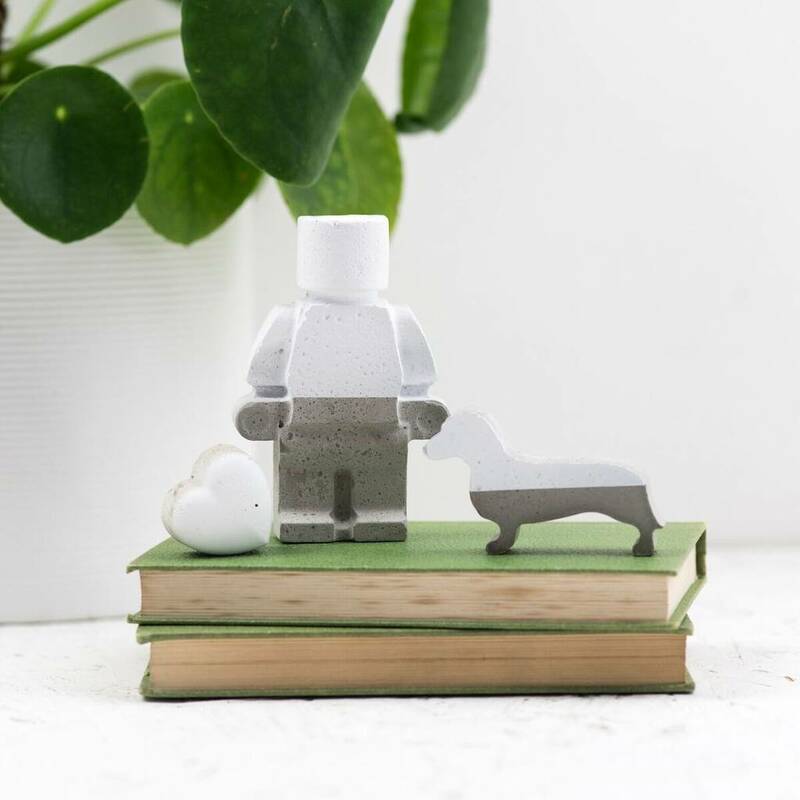 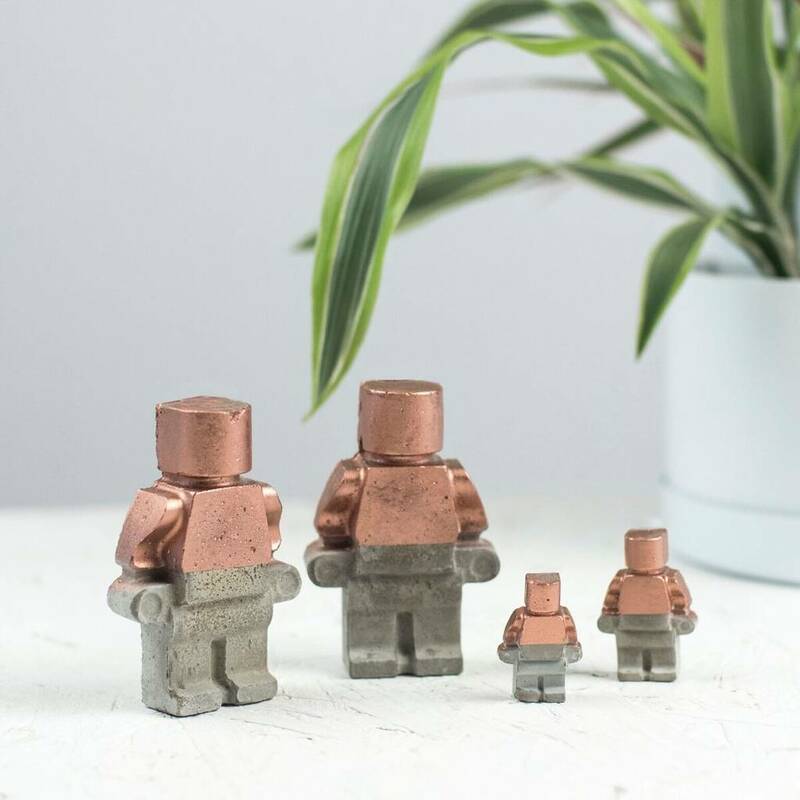 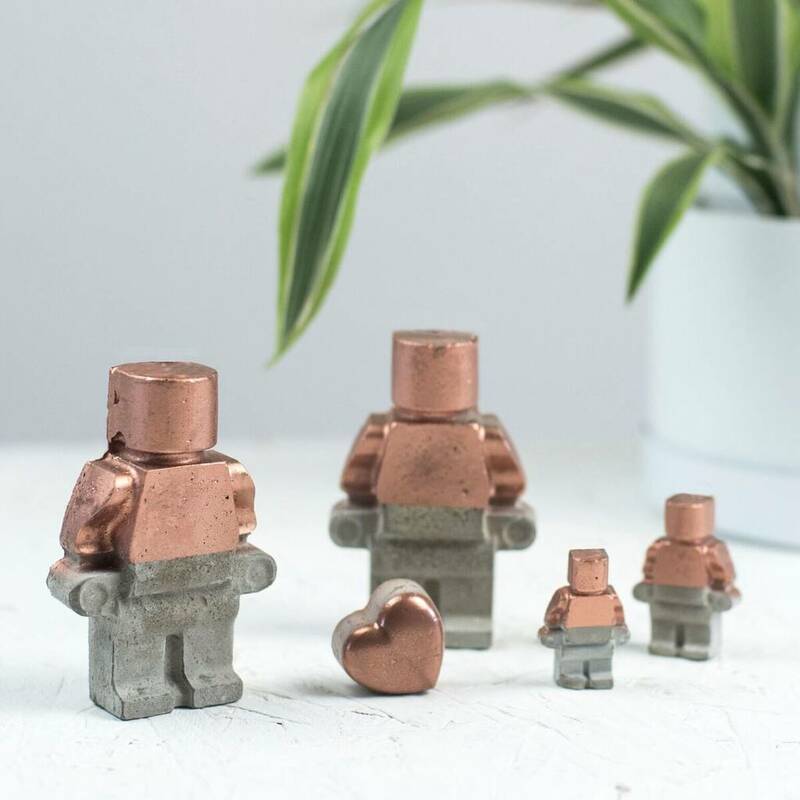 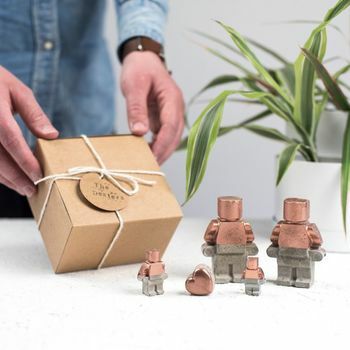 This on-trend set of concrete robots makes the perfect gift for a family. 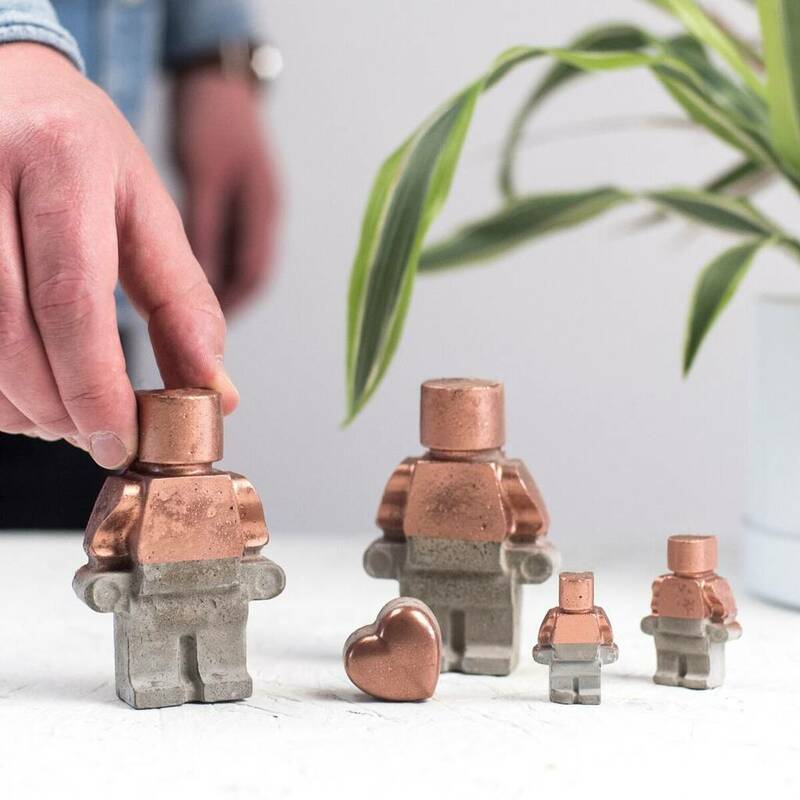 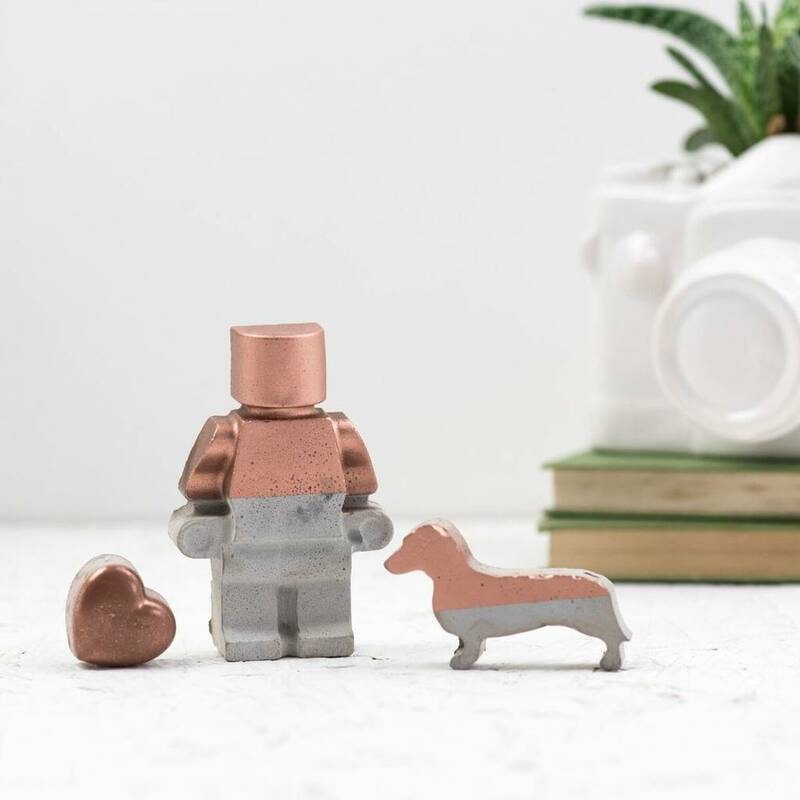 The concrete robots are painted on the front and sides with a copper, giving them a playful, industrial feel. 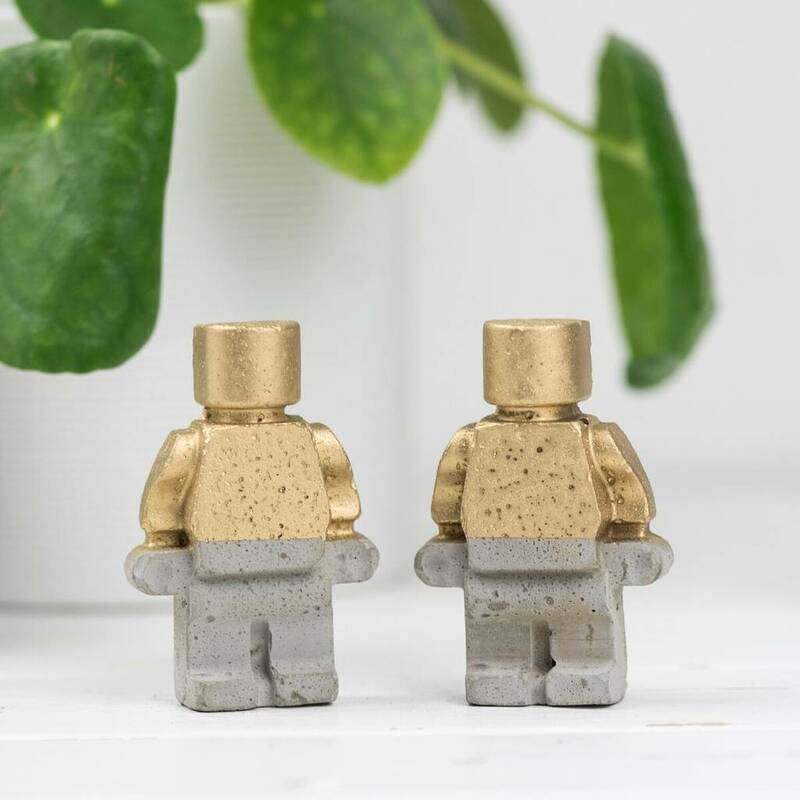 Every figure is flat on the back, making them ideal to stand on a shelf against a wall, and contain beautiful air bubbles and colour variations that make each one unique. 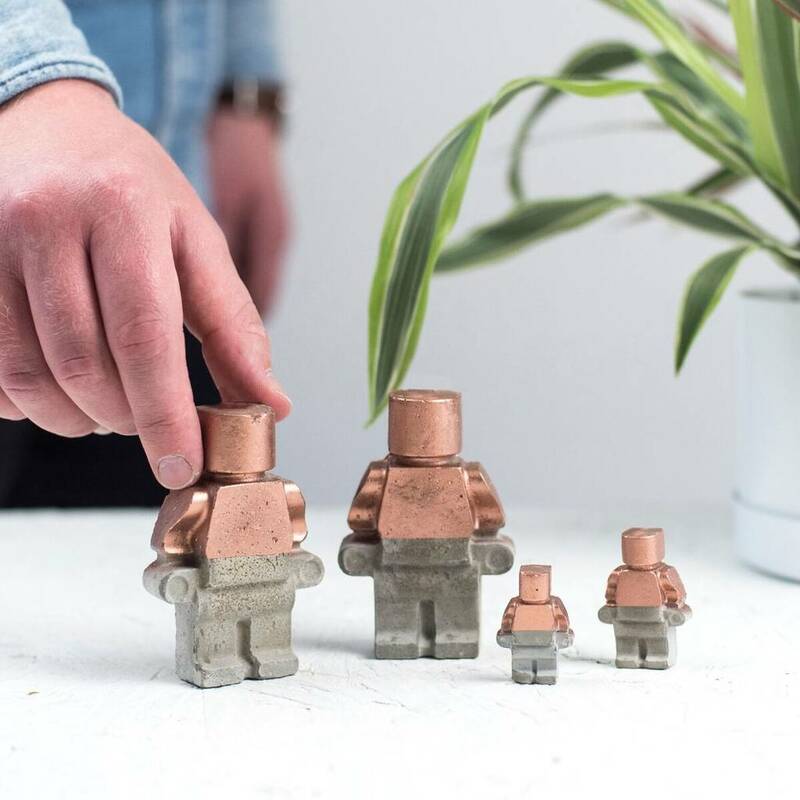 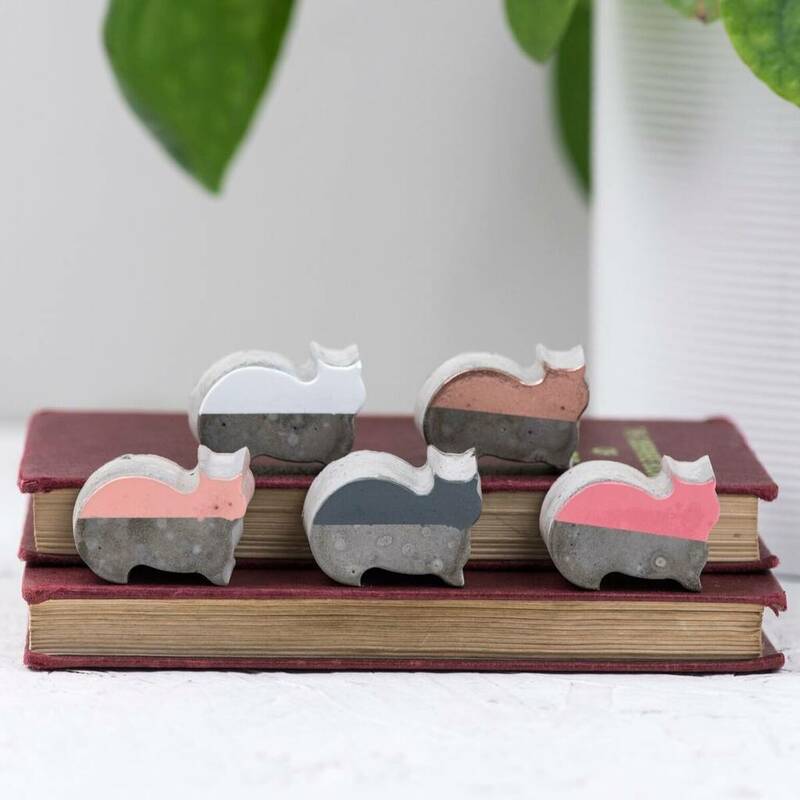 Available in concrete with a copper stripe.